Get Your Galaxy On With These Top 4 Galactic Lip Picks Recommended from The Beauty Closet Under $10! Go Out of This World With These Fav 4 Lip Picks for Summer Under $10! Think you have to spend tons of cash to get a quality lip gloss that exhibits glitz, glam, and full-on sparkle all over?! Think again with this awesomely affordable lip gloss from Hard Candy! Can be used on the eyes as liner or lids as a pretty cream shadow and can be used on the brows or in the center of the lips as a highlighter. Layer with different lip shades to get a variety of pretty, unique looks or wear alone for a full-impact liquid glitter look with a professional finish- with little effort. Apply one coat for a sheer look or apply 2 coats for a big brilliant shine & look that will compliment all skin tones! Comes in a fun sparkly box with a looped ribbon atop the storage box, making it a great affordable gift option. This limited edition affordable lip gloss comes from a drugstore brand than many of us know & love- L'Oreal! Their Infallible Galaxy Lumiere Holographic lip gloss in Sapphire Star is a pretty ultra-violet highly-pigmented lip gloss, with iridescent pearls that can be worn alone or as a top coat combined with another fav lip shade for a variety of unique lip looks! Get a prismatic effect on the lips in a snap for under $10! 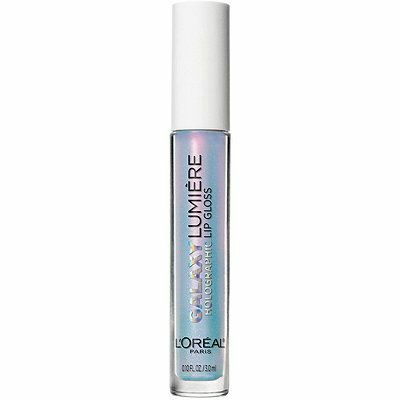 This affordable drugstore name brand lip gloss has ultra shine and comes in an out-of-this-world prismatic holographic blue. Definitely not for the faint of heart, but will make a stand-out statement that's hard to miss :) Affordable and easy to apply with a uniquely shaped and slanted applicator too! Get hydration and smoothness, without the sticky mess and high price with Almay's Goddess Gloss in Etheral! This heavenly shade is fun, bright, and perfect for summer :) Each shade in this collection from Almay contains pomegranate, grape, and raspberry oils so your lips can feel and look better after application :) A Hypoallergenic and fragrance-free formula also makes this one great for those with super sensitive skin as well! The Beauty Closet's RDKL Skincare Review + Bonus Video! The Beauty Closet's Top Drugstore Makeup Pick of the Week from: Almay Shadow Squad Eyeshadow Holographic + Limited Edition Palette! Want to Improve an Uneven, Dull Skin Tone? The Beauty Closet Reviews & Recommends: Sulwhasoo Makeup Balancer No. #1! Get Your Skin in Gear for Fall with The Beauty Closet's Top 5 Fall Beauty Must-Haves! The Beauty Closet's Top 5 Facial Masks for Fall for $10 & Under! K-Beauty Beauty Product Pick of the Month: erborian Korean skin Therapy BB Creme Baby Skin Effect Make-Up Care Face Cream! Natural Scent of the Month: Edens Garden Lavender Magnolia! Coming Up at The Beauty Closet This Week! The Beauty Closet's Top Birthday Beauty Picks for Summer! The Beauty Closet's Top 5 Korean Skincare Picks for Summer! Get Your Summer On With These Top Honey Beauty Products! Drugstore Brand Facial Mask Bundle Review from The Beauty Closet! The Beauty Closet Answers: What's In My Makeup Bag for Summer? The Beauty Closet's Top Beauty Pick for Under $10 for Summer: Hard Candy Look Pro Non-Touring Glamour Duo! The Beauty Closet's Top 5 Nail Treatments for Summer! Nubian Indian Hemp & Haitian Collection Reviewed by The Beauty Closet! Snag These Top Scent Picks for the Summer From: Ola Tropical Apothecary Pikake & Coconut Body Mist! Keep Your Skin Summer Ready With The Beauty Closet's Top 5 Skincare Sets for $15 & Under! The Beauty Closet's Top Natural Skincare Product for Summer 2018: Lavanila The Healthy Deodorant! 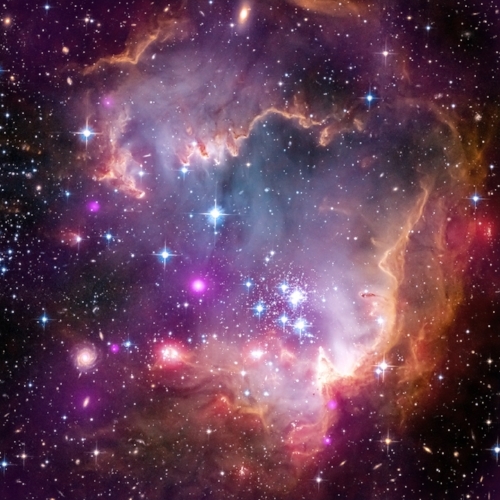 Get the Moon & Back with These Out-of-these-world Top 5 Beauty Picks Recommended from The Beauty Closet! Get Your Summer On With These Top 5 Beauty Treats Recommended from The Beauty Closet! Drugstore Beauty Review from The Beauty Closet: L'Oreal Pure Clay Mask! Get in Gear With The Beauty Closet's Top Beauty Summer Accessory Pick From: Aravinda! Here's What's Coming Up for Summer at The Beauty Closet! Ramp Up Your Summer Beauty Routine with The Beauty Closet's Top Pick from b-Glowing Beauty: Illuminate + Shine Palette! Get in gear with these top 4 beauty picks perfect for those with athletic lifestyles or just trying to get fit!